Nearly everyone must have across the name Walmart, at one time or another, whether it was driving past a store or in the news. Walmart has become a giant entity worldwide. It is an American multinational retail corporation that is famous for its discount department stores and warehouse stores. Walmart came around in 1962 when Sam Walton founded the company. The first store was opened in Rogers, Arkansas in 1962 and the company was incorporated on October 31, 1969. The Walton Family still controls Wal-Mart Stores, Inc., owning over 50 percent of Walmart through their holding company, Walton Enterprises. As of December 2014, Walmart has a total of nearly 11,000 stores under 71 banners in 27 countries and e-commerce websites in 11 countries. These stores employ a total of 2.2 million associates worldwide and cater to more than 245 million customers and members weekly. 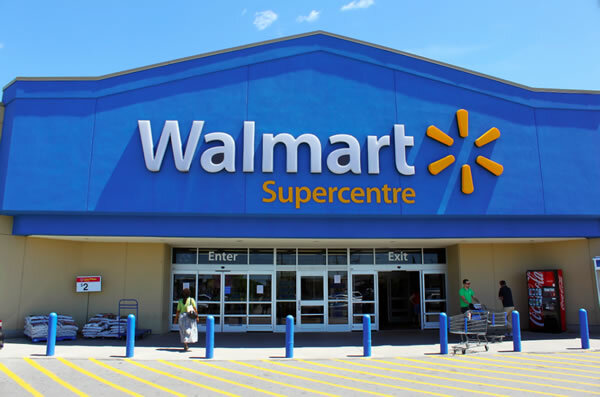 In US and Puerto Rico, the company operates as Walmart, however, in Mexico it operates as Walmart de México y Centroamérica, in the United Kingdom as Asda, in Japan as Seiyu, and in India as Best Price. The company also has wholly owned operations in Argentina, Brazil, and Canada. Walmart also owns and operates the Sam's Club retail warehouses in North America. In 2014, the Fortune Global 500 listed Walmart as the world's largest company by revenue, as well as the biggest private employer in the world and the largest retailer in the world. The company is also one of the world's most valuable companies (in terms of market value), and is also the largest grocery retailer in the US. Walmart has been heavily criticized for underpaying employees, sourcing from sweatshops, hiring illegal citizens, impact on mom and pop shops, racism, use of public subsidies, use of labor spies, etc. They have borne criticism from labor unions, community groups, grassroots organizations, religious organizations, environmental groups, and Wal-Mart's own customers and employees. However, Walmart has denied all wrong-doing.